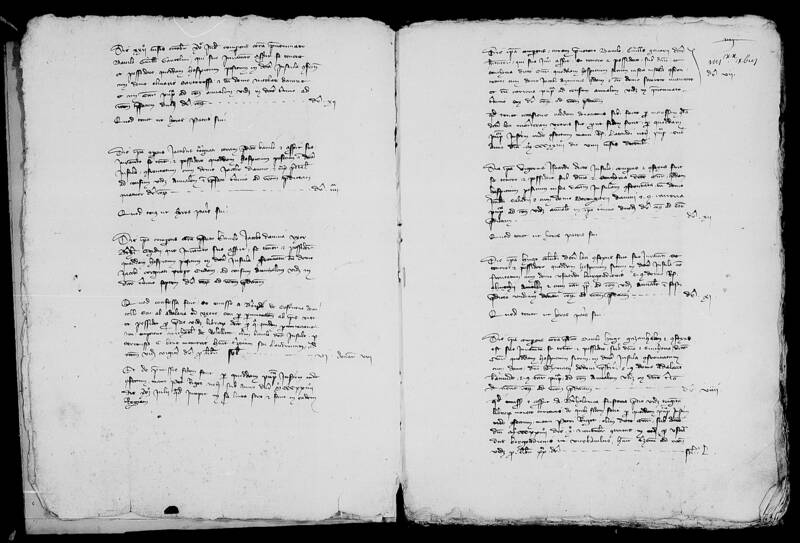 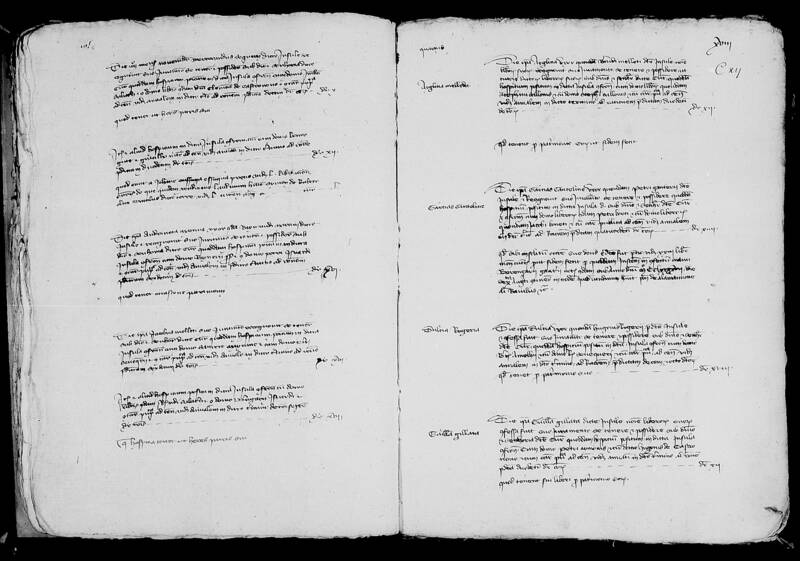 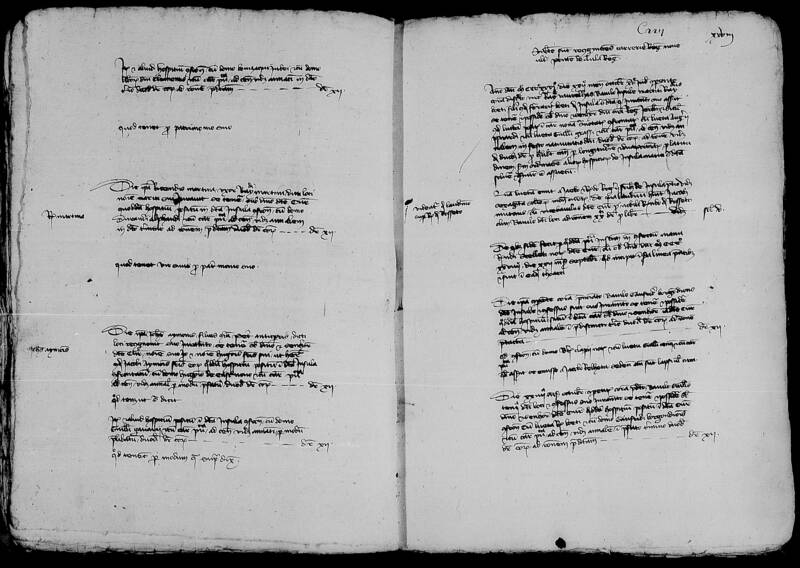 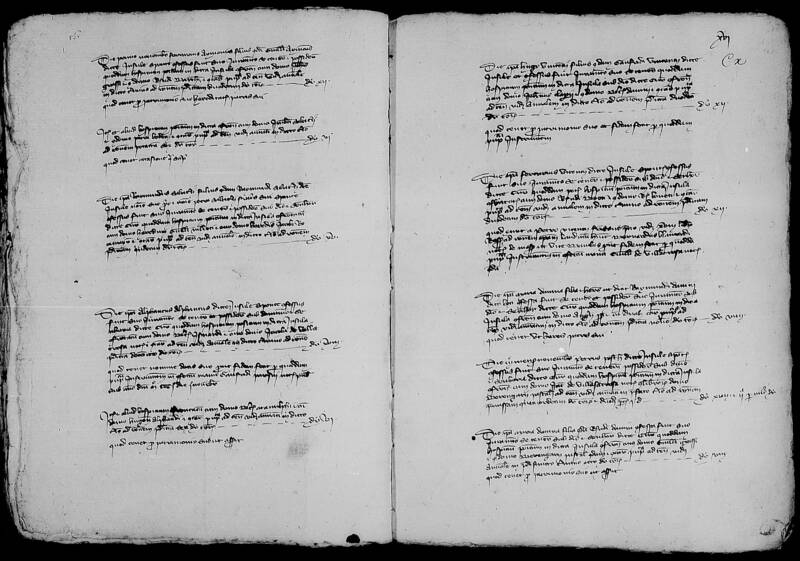 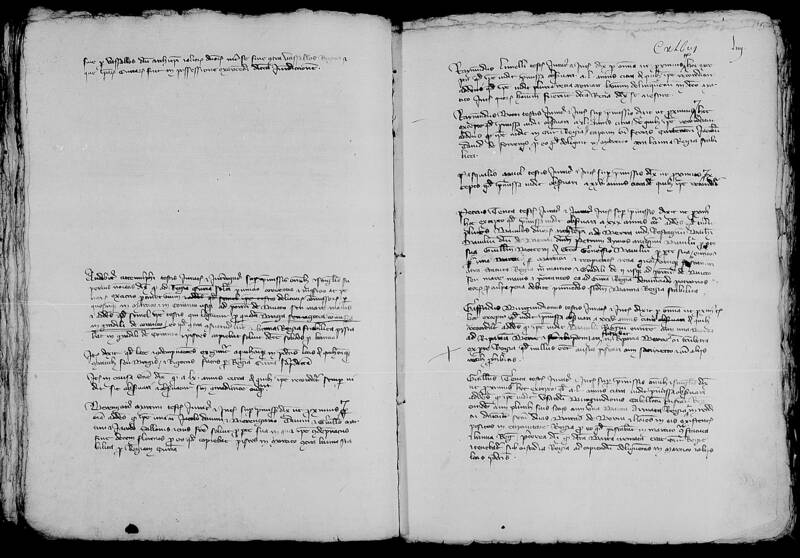 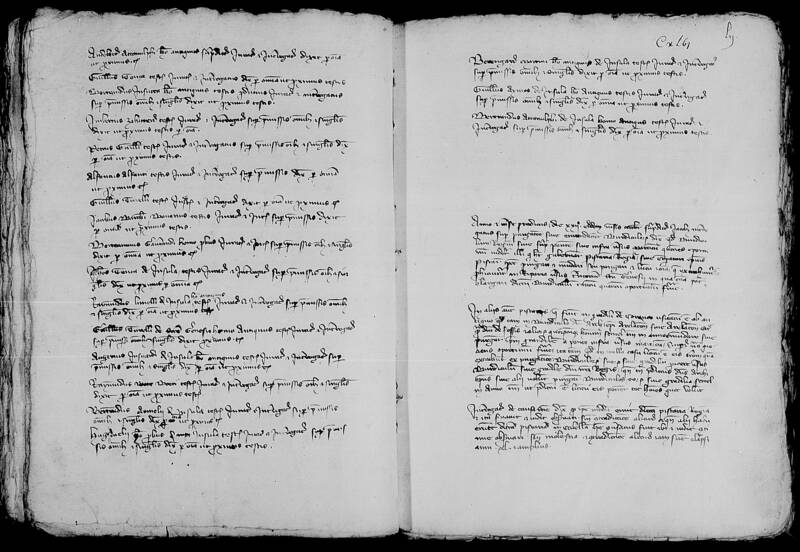 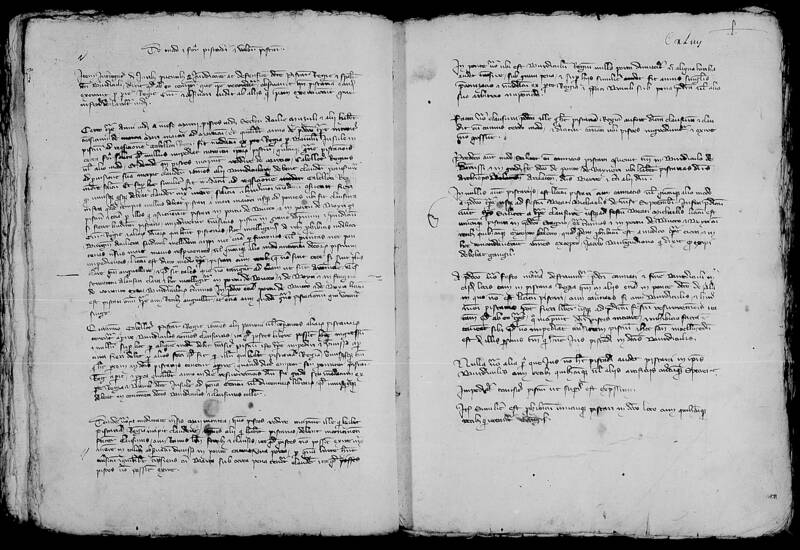 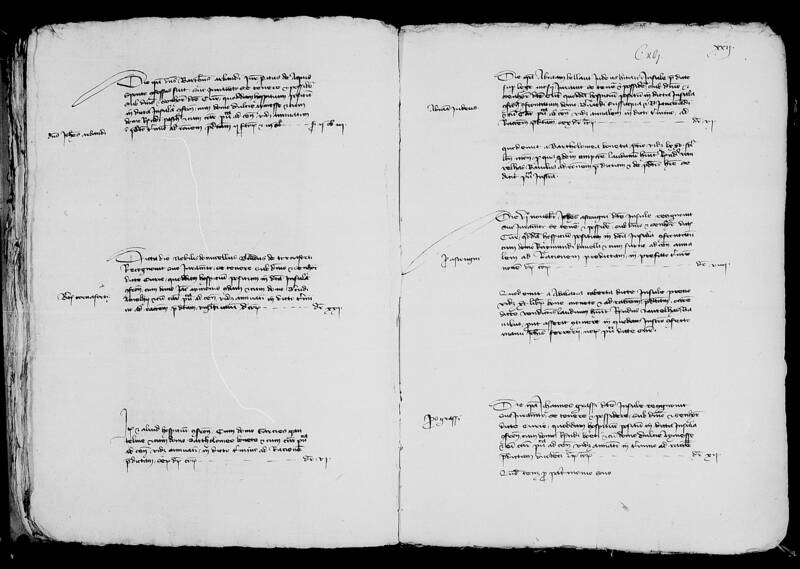 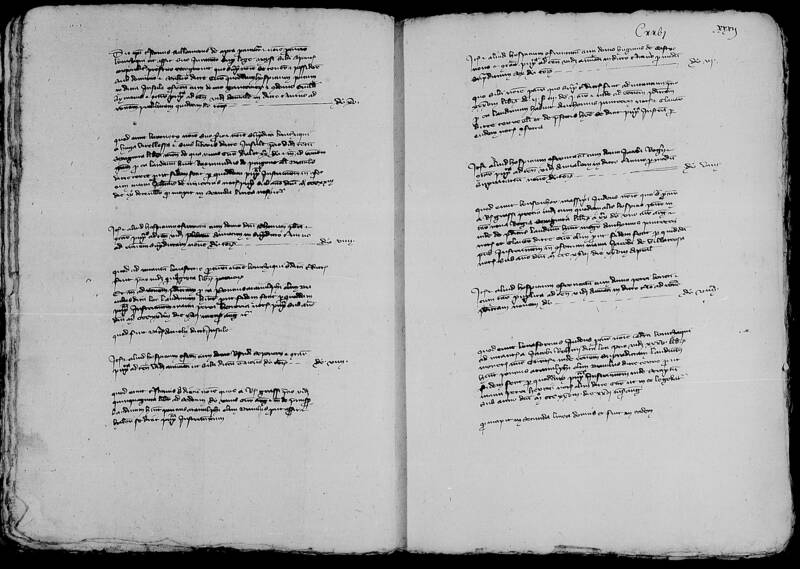 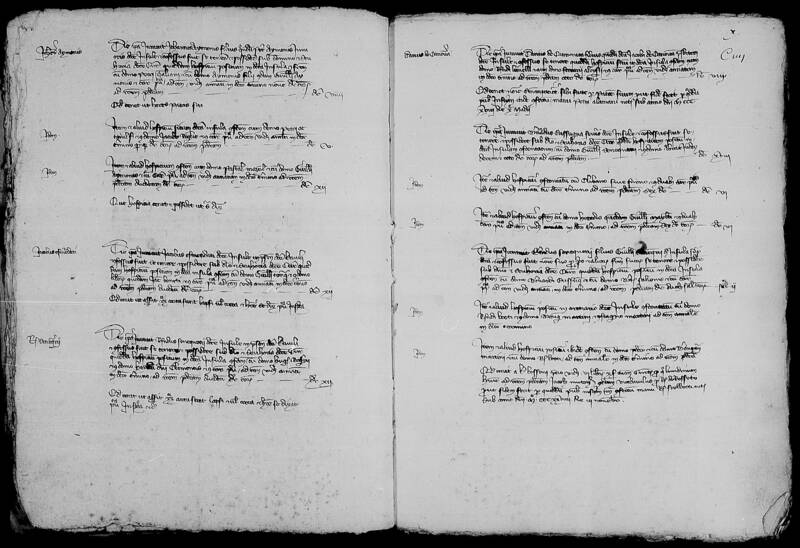 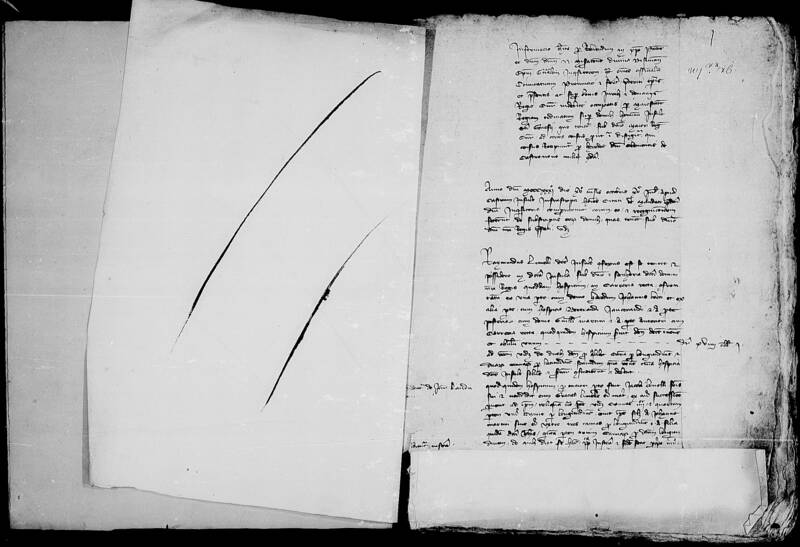 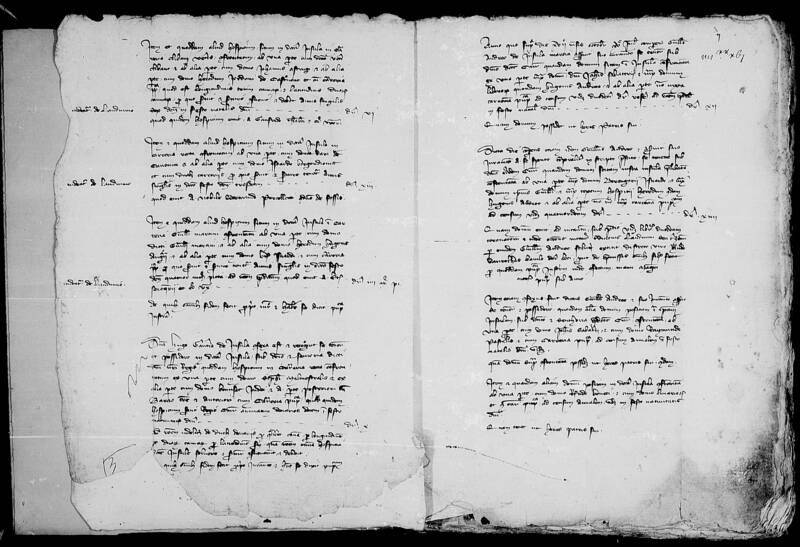 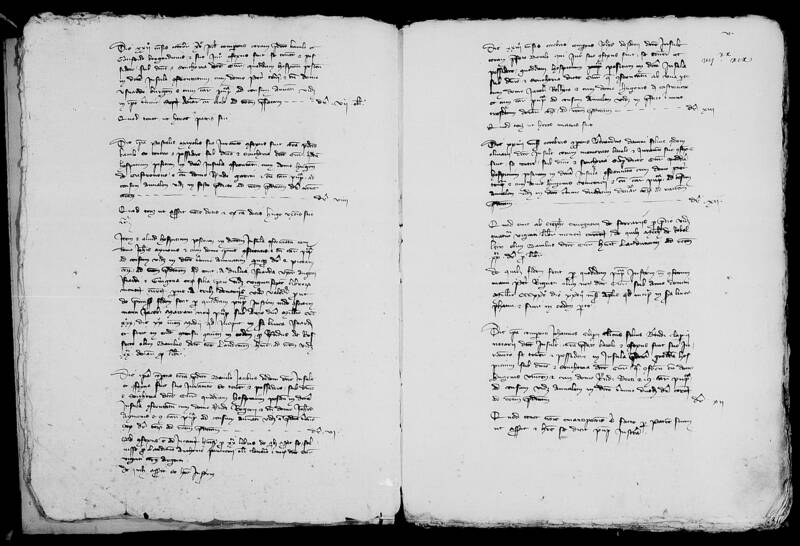 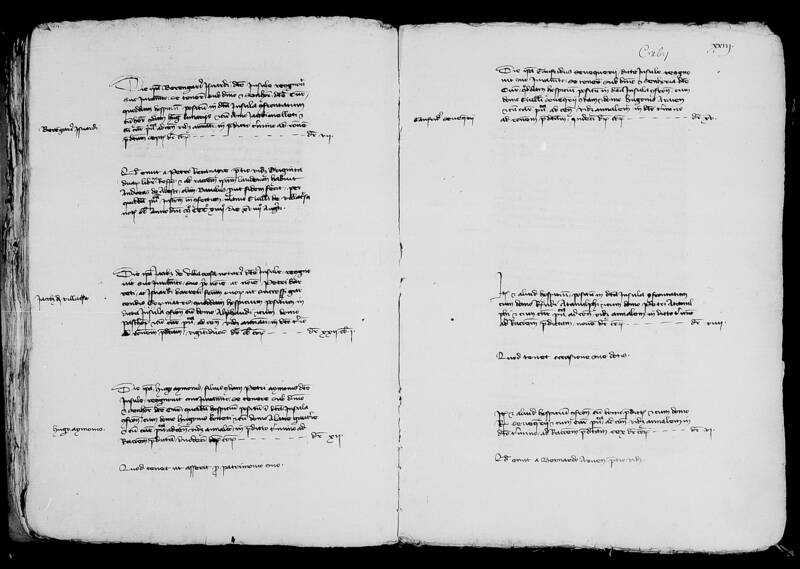 This part of the site is related to a collective work: the edition and the scientific analysis of a 15th century document, the general survey promoted by Robert (1309-1343), king of Sicily, but also count of Provence and Forcalquier, in August 1331, which concerned all royal possessions and jurisdictions in Provence. You will find here not only a presentation of the international team of academics gathered around this program, but also information on various aspects of the document and tools for its study (bibliography, facsimiles, etc.). 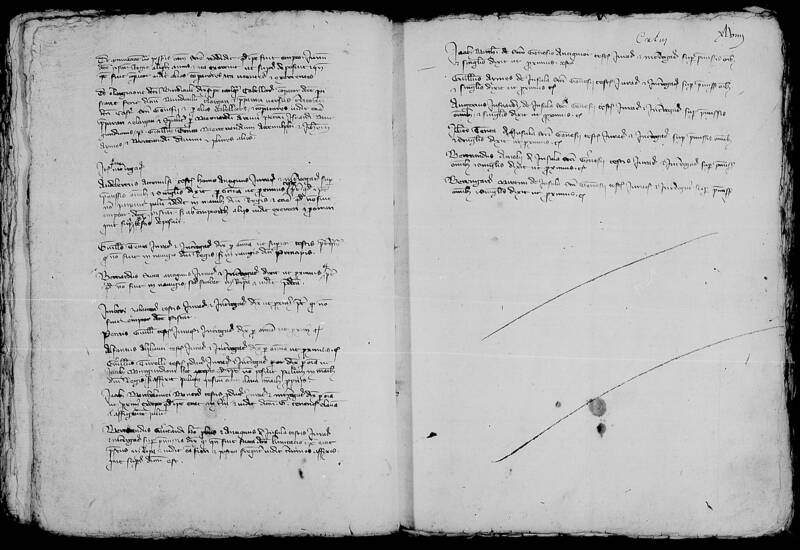 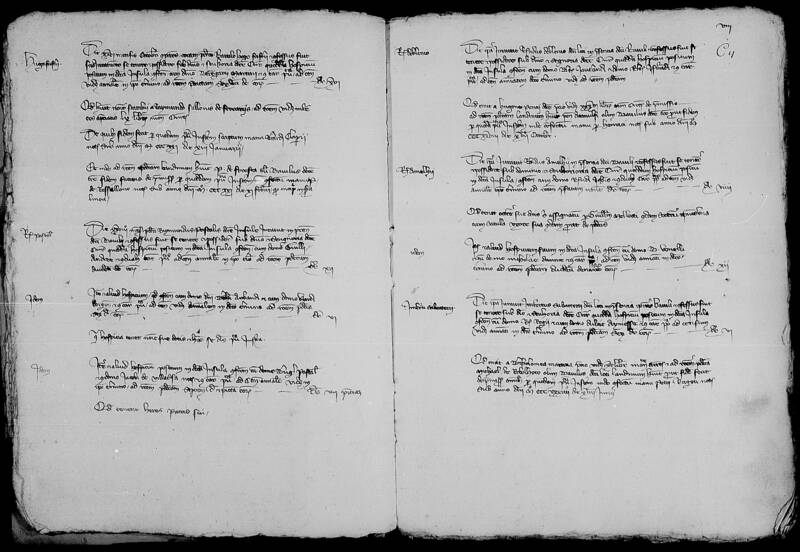 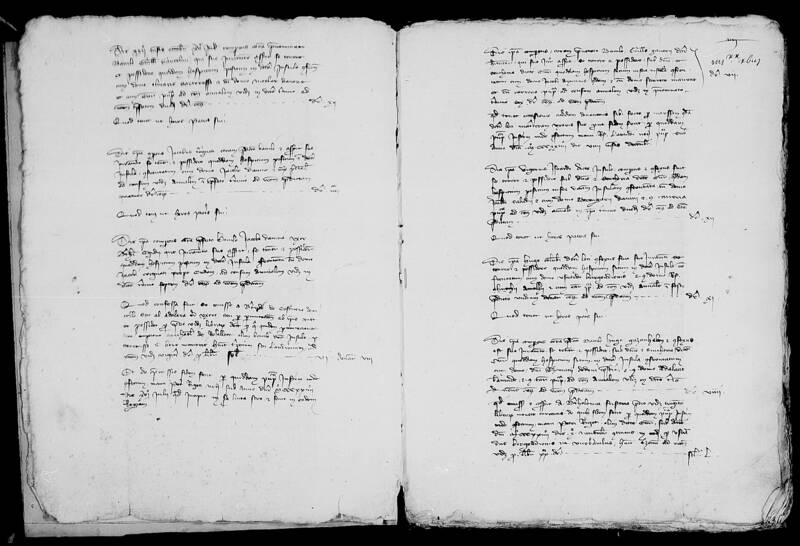 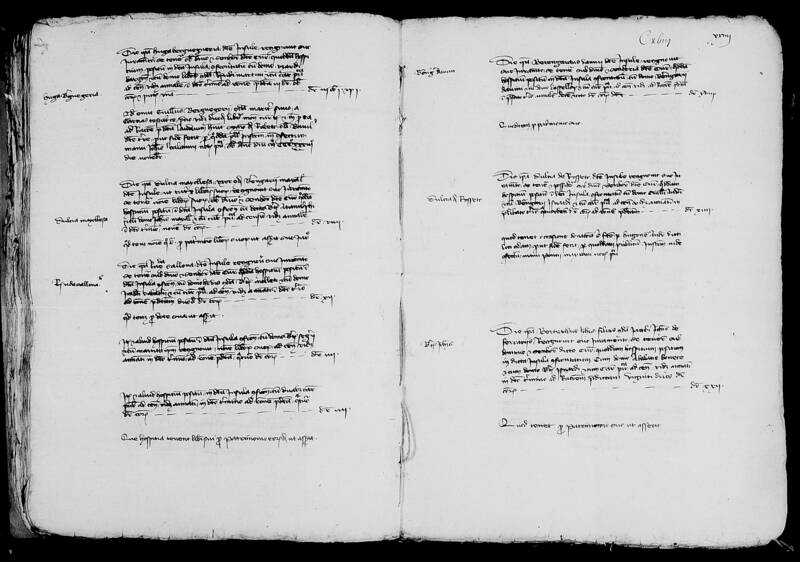 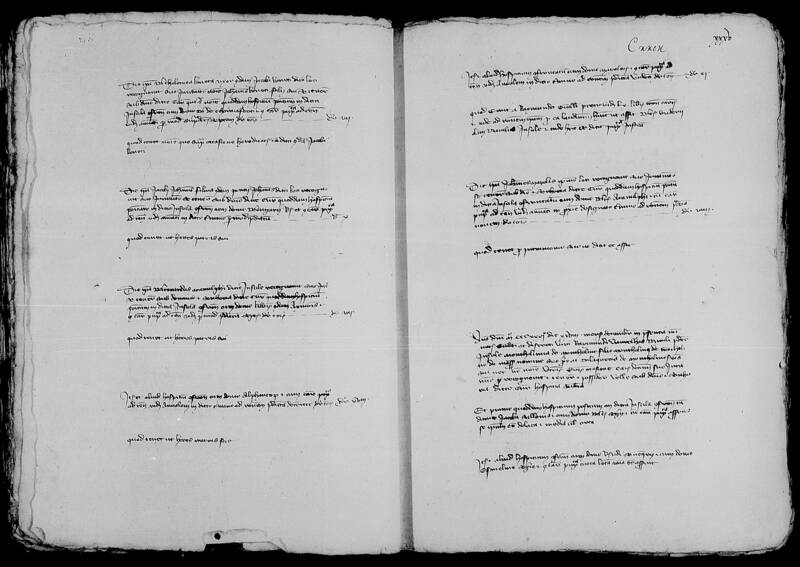 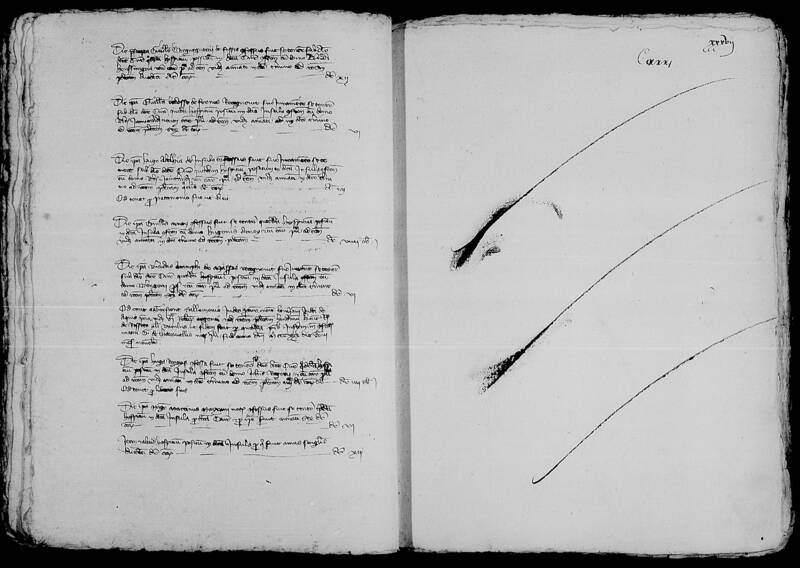 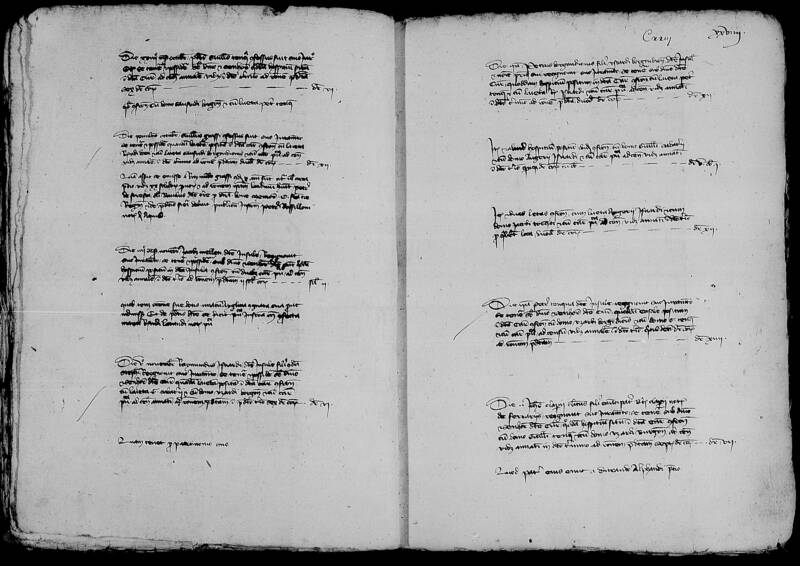 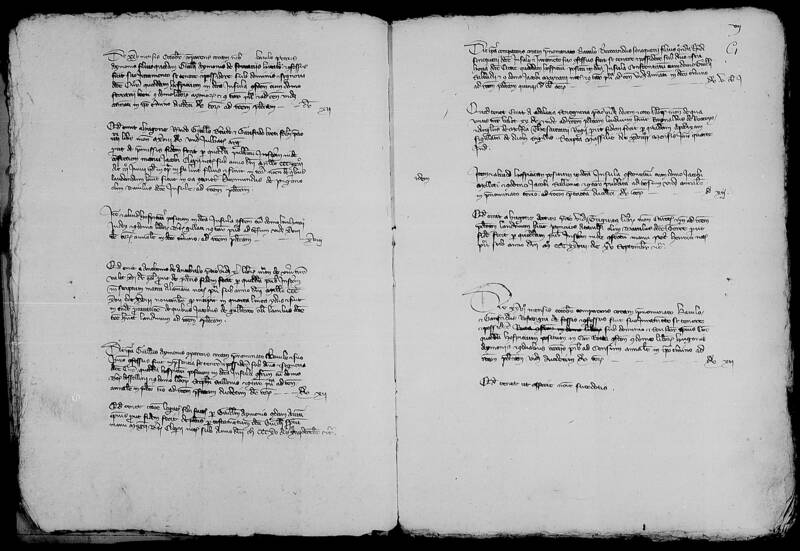 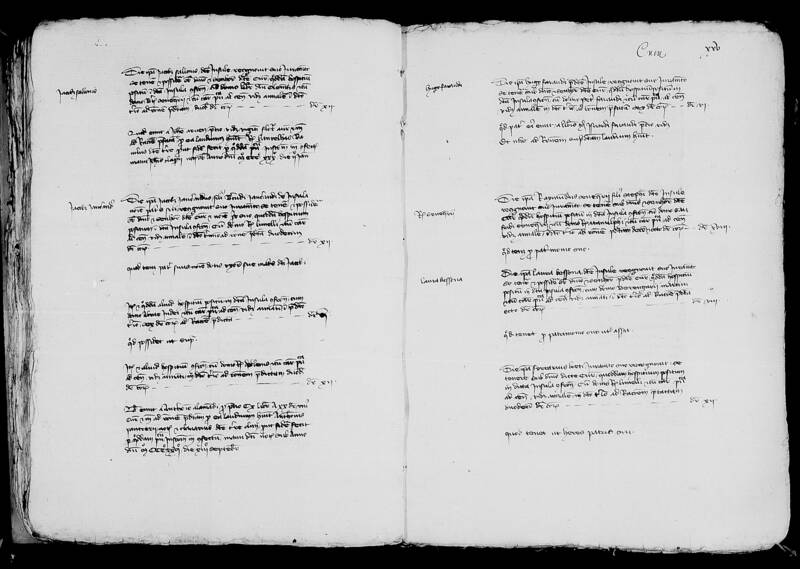 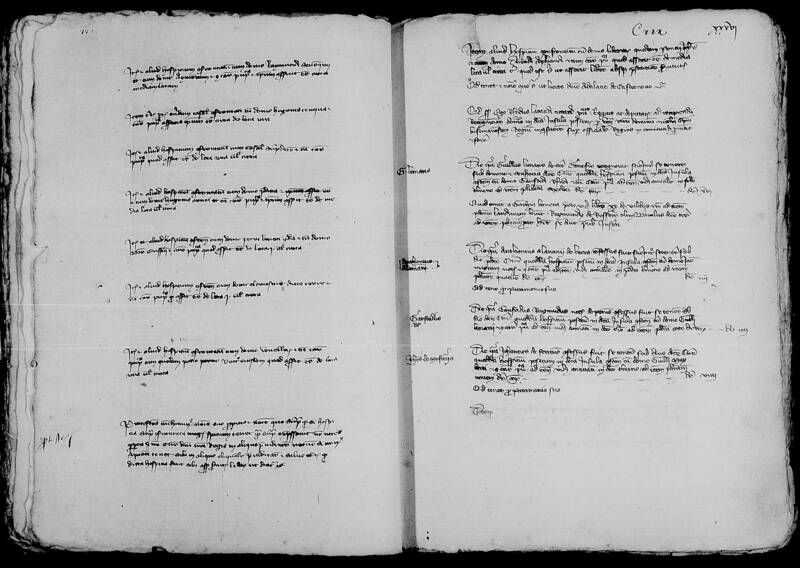 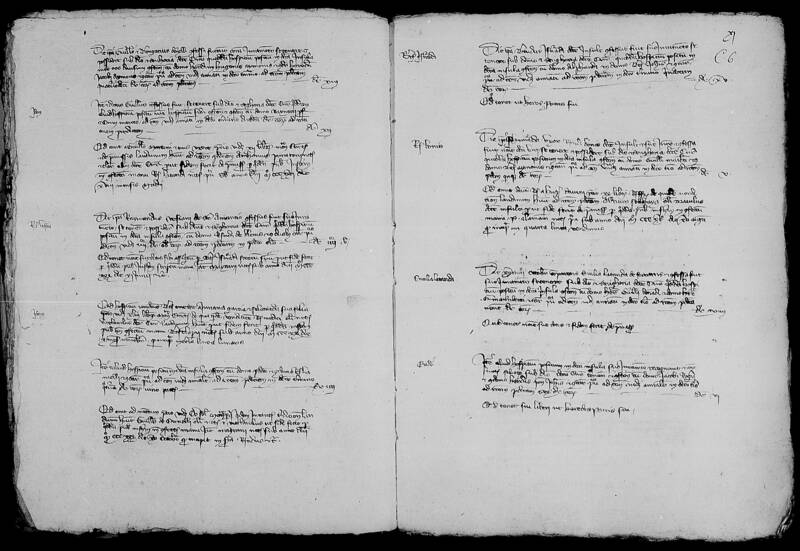 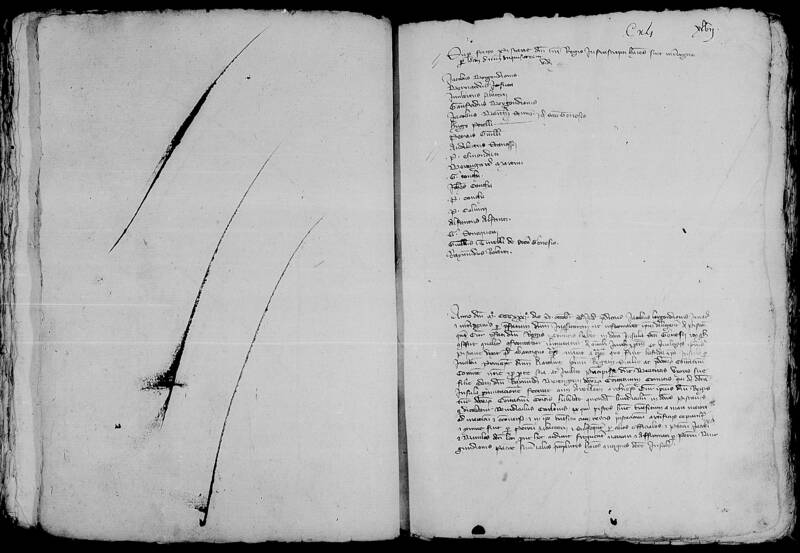 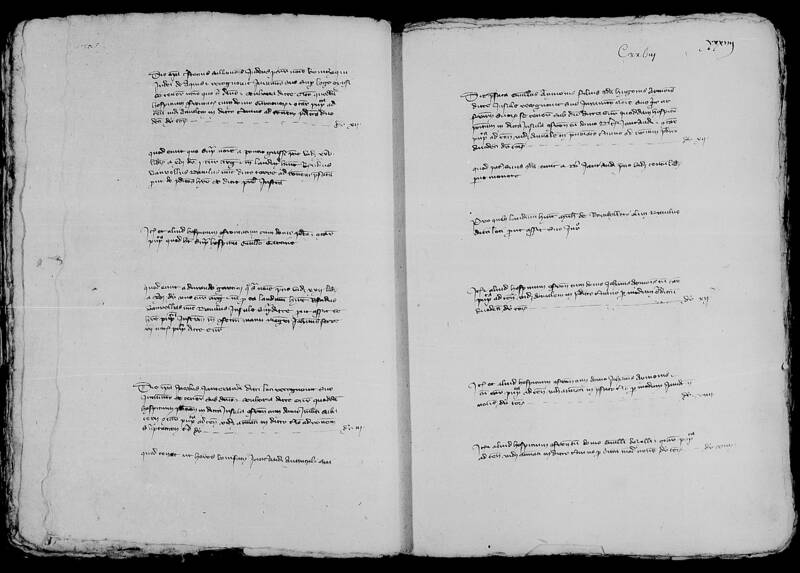 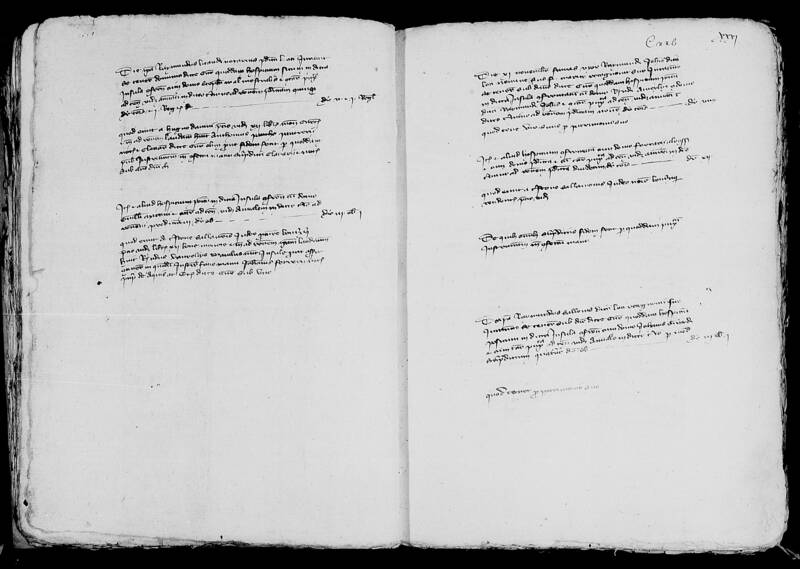 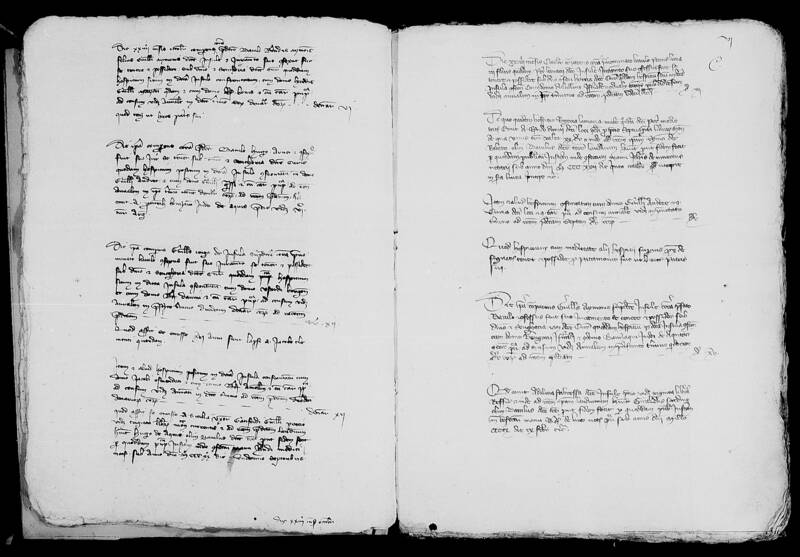 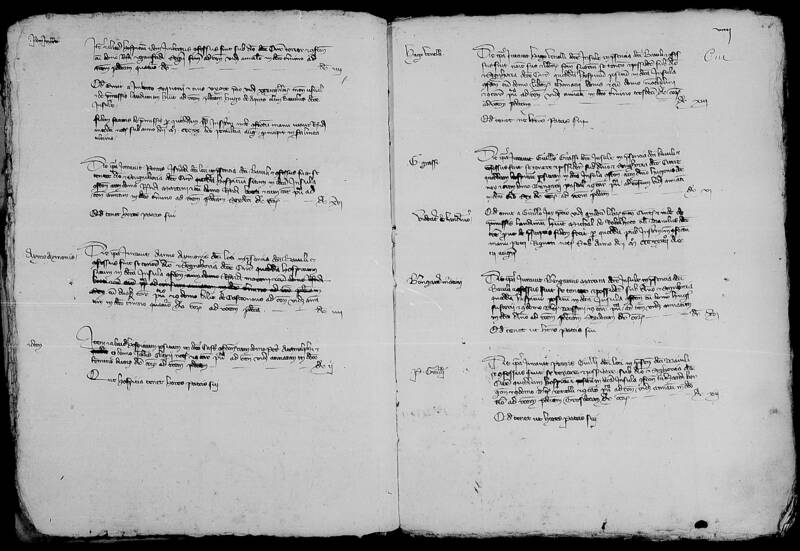 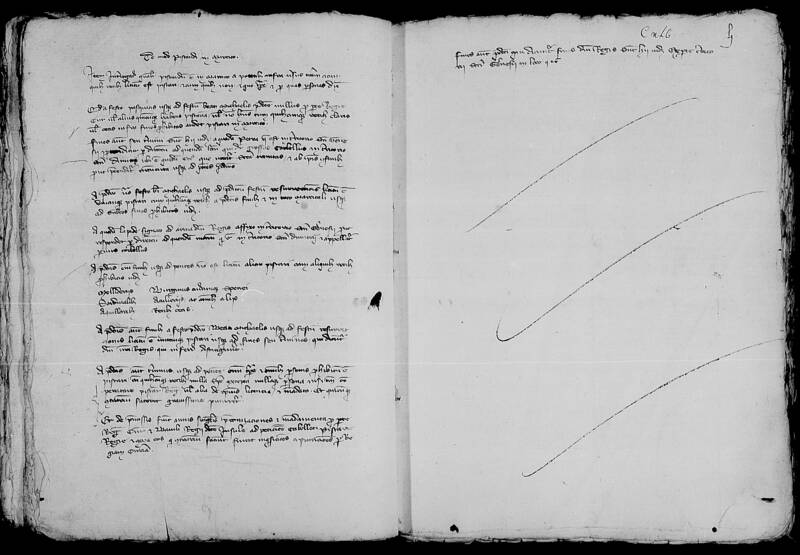 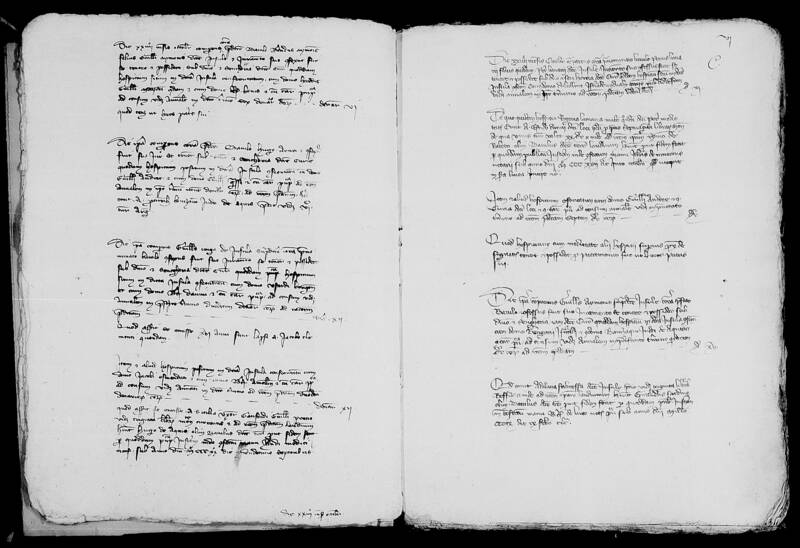 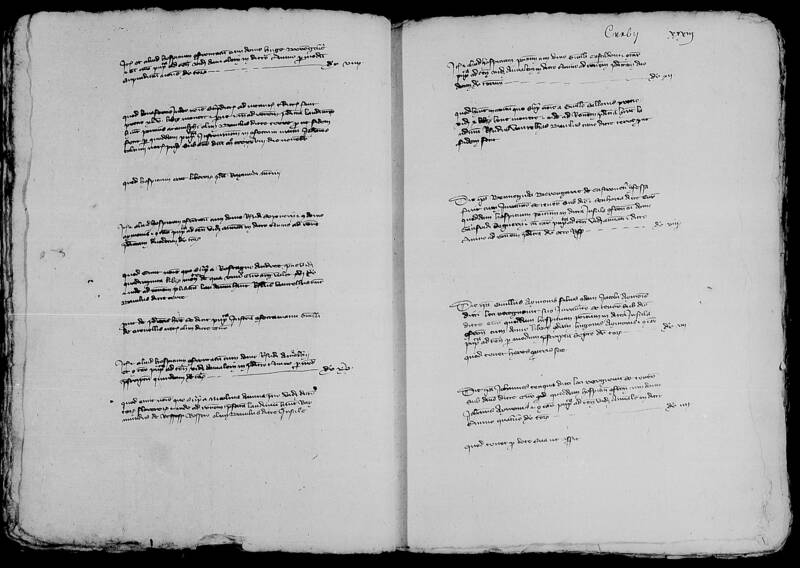 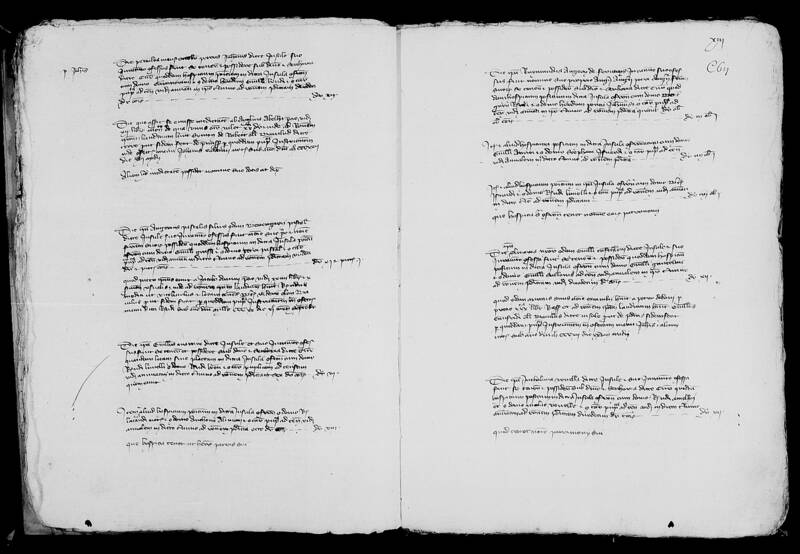 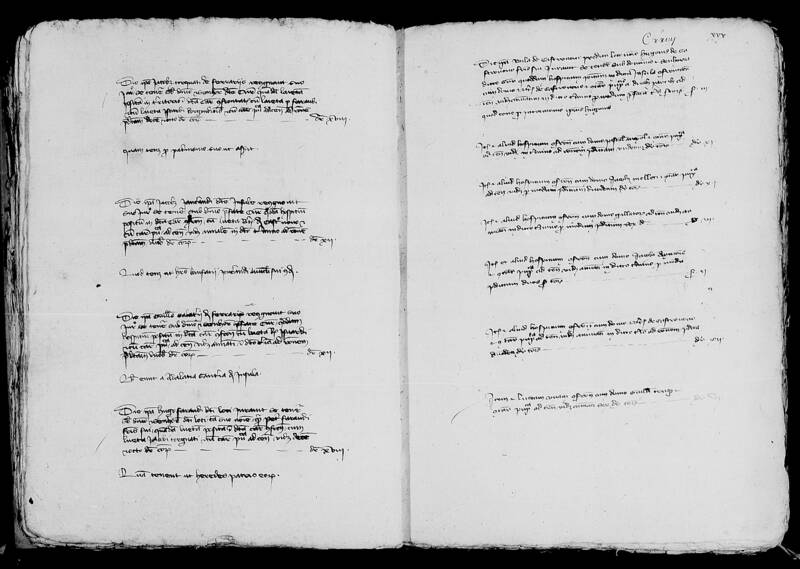 This survey is composed of 29 manuscript registers, which total about 2500 folios; they are currently in the Archives départementales des Bouches-du-Rhône. 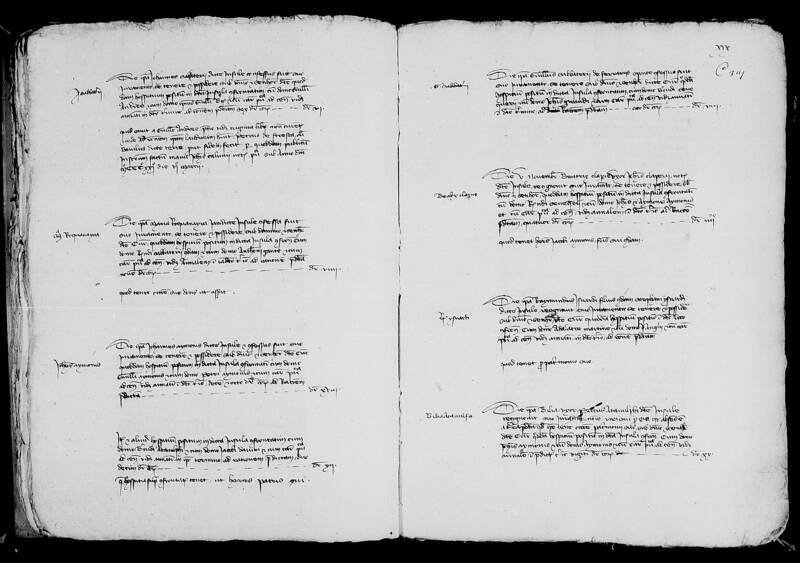 In the 13th and 14th century, many other principalities of western Europe carried out this type of investigation about administrative structures, fiscal imposition, State properties, based on the movement and officers and on the evolution of legal knowledge and administrative practices. 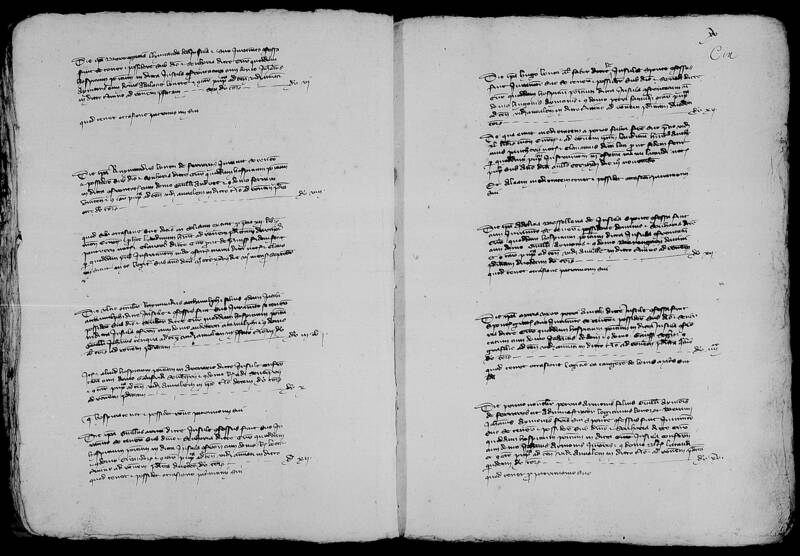 On August 24, 1331, king Robert of Naples ordered a general survey in Provençal possessions, in order to determine the exact limits of his domain and his rights, to assess his resources, to combat the abuses and usurpations committed by his local officers, communities and lords. 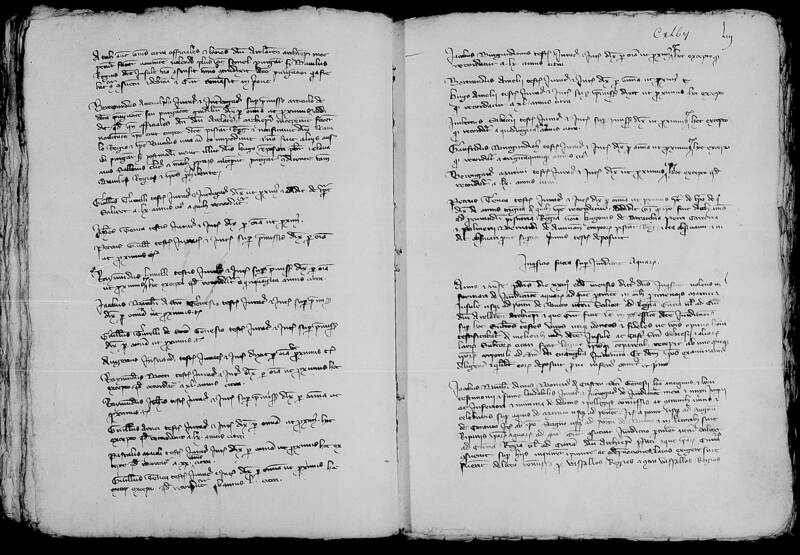 It followed the general surveys carried out on behalf of Charles of Anjou (about 1251) and Charles II (1297-1299). 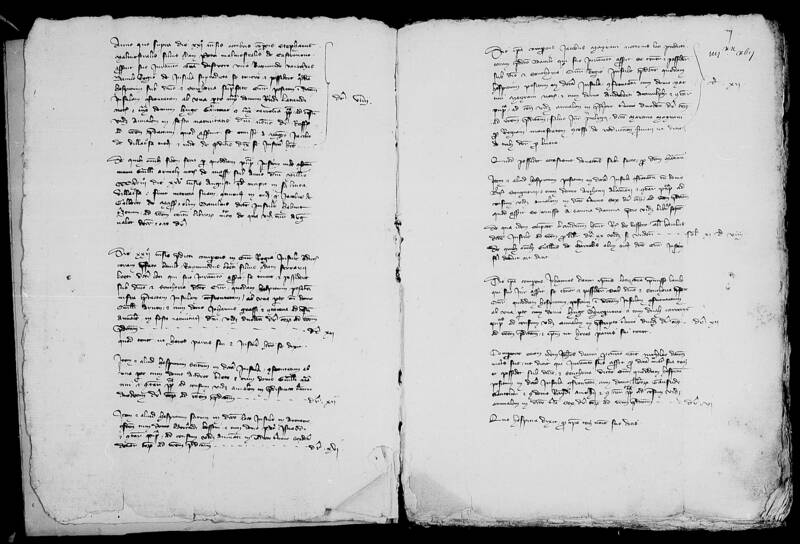 Robert, who had been absent from Provence since 1324, was worried about the future of his dynasty after the death (November 1328) of his only son and heir Charles, duke of Calabria. 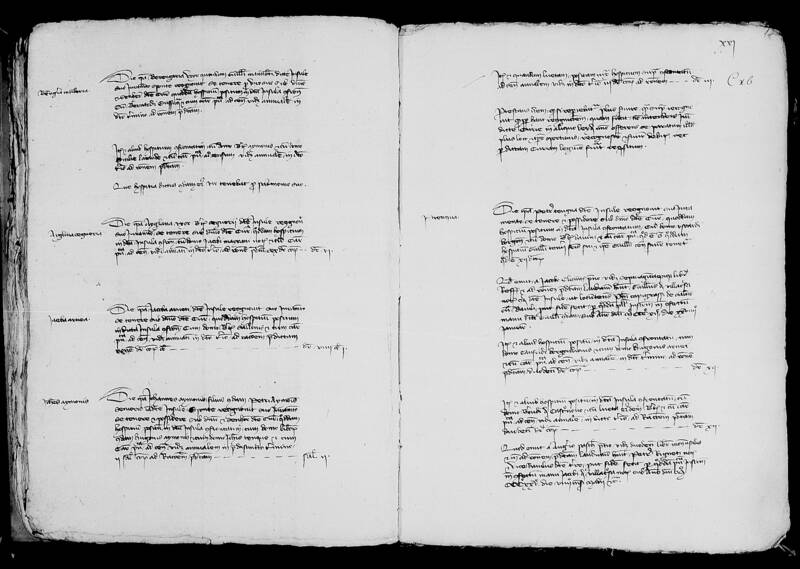 He adopted a series of measures to ensure the loyalty of his subjects in his new heir, her granddaughter Jeanne (the future queen Joanna), or as a second option the sister of the latter, Mary. 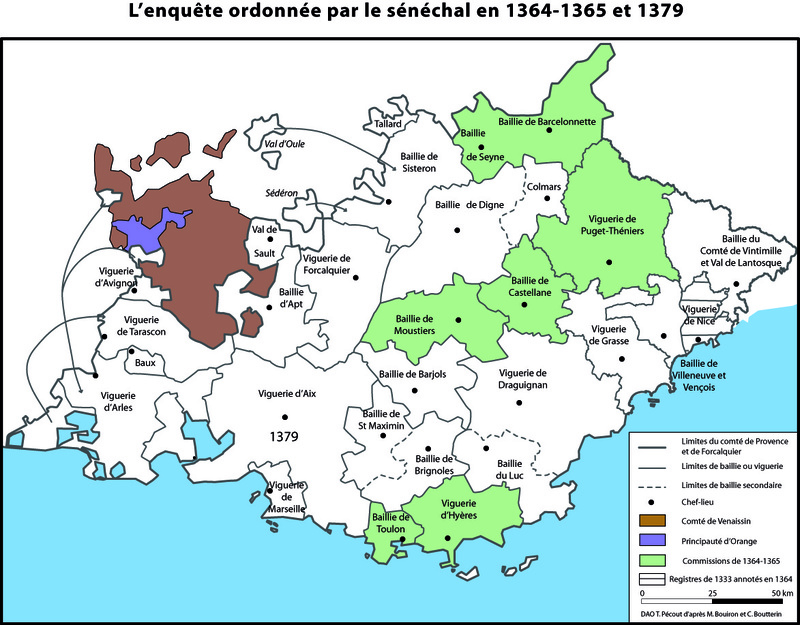 The year 1331 was marked by a series of oaths of loyalty and fiscal contribution, both in the kingdom of Naples and in the counties of Provence and Forcalquier. 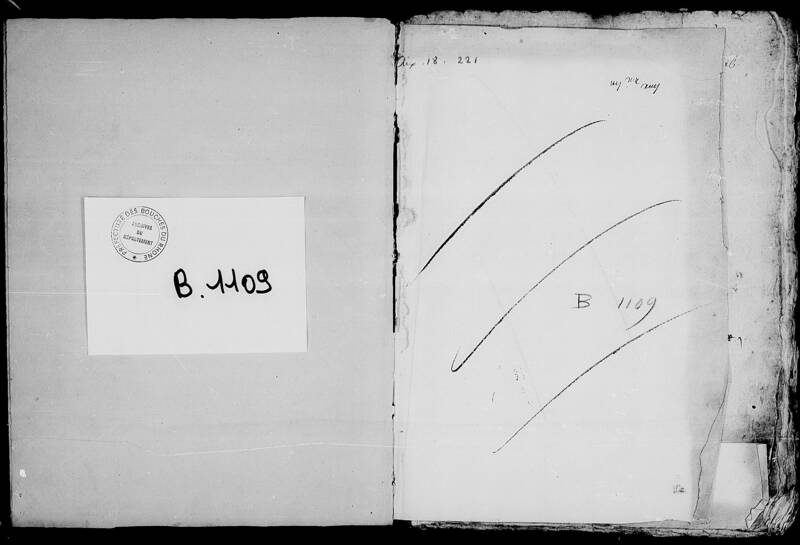 The decision to put in place a general survey must be read in this context of instability. 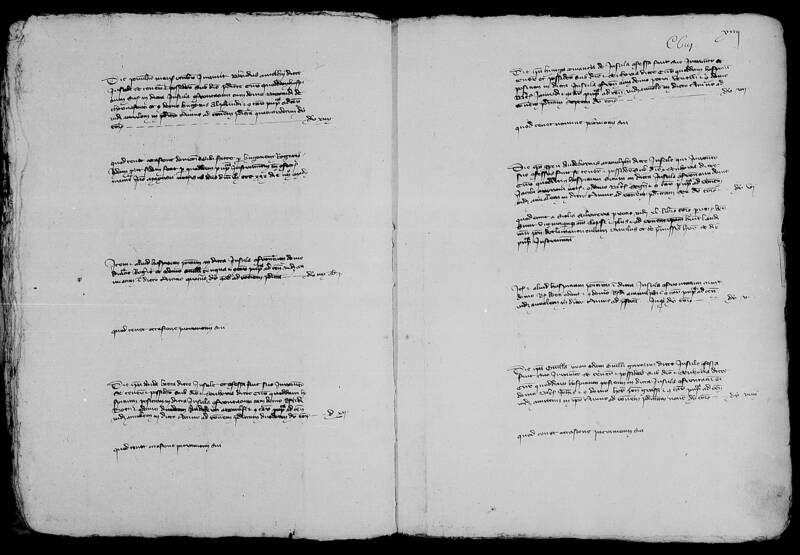 It was an effort to survey royal resources, to reorganize the local administration by investigating the officers' abuses, to restore the links of loyalty to the dynasty. 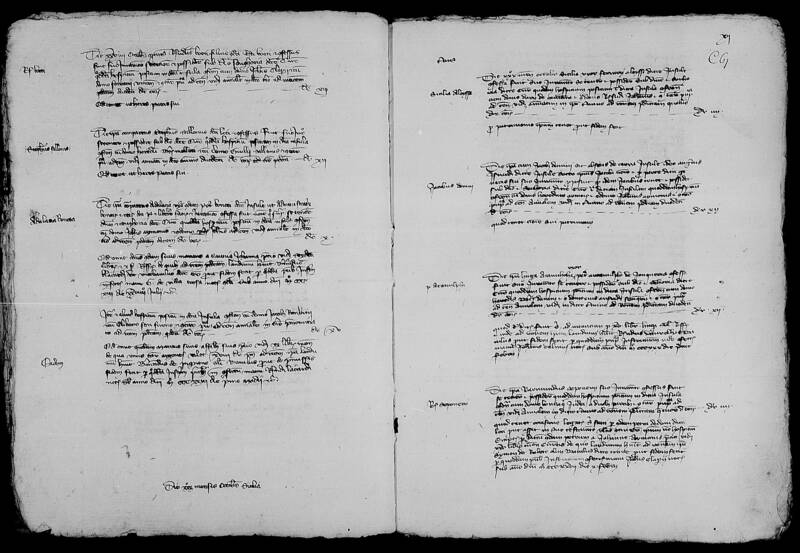 It also had fiscal, patrimonial, political and ideological implications. 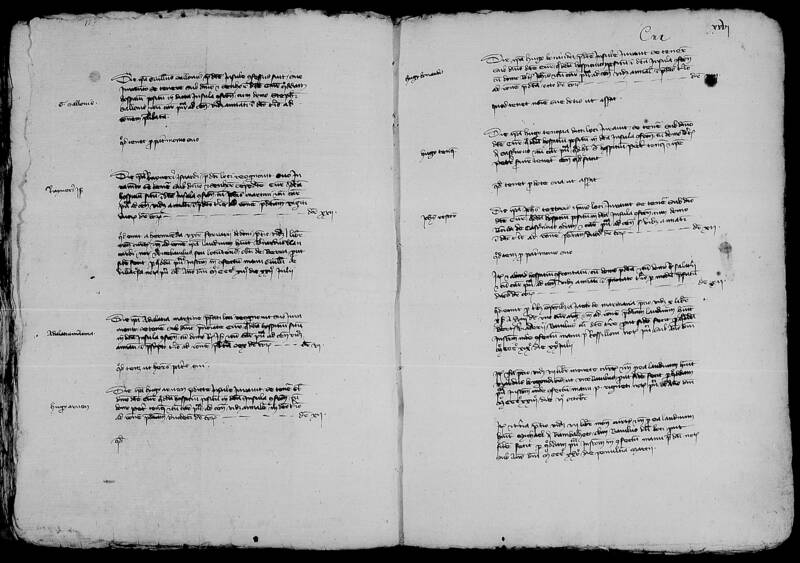 The two inquisitors who led this operation came from the royal entourage. 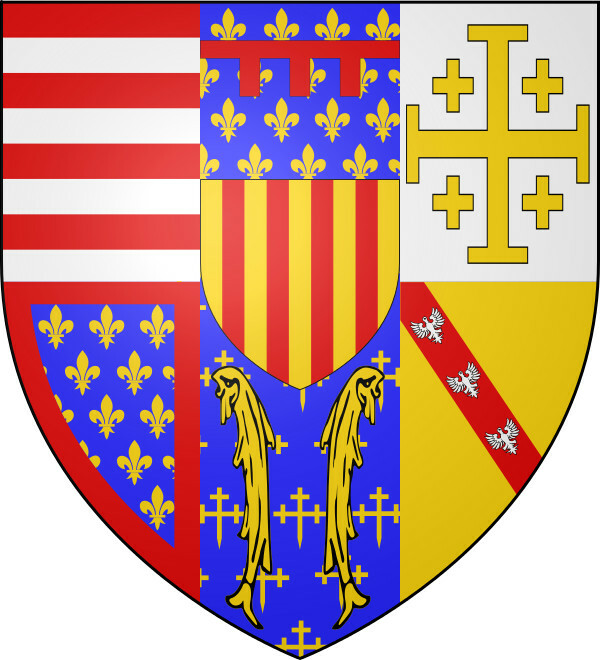 But, just like the seneschal of Provence, Filippo di Sangineto, and his major judge judge Giovanni di Giovinazzo, they had previously been in contact with the deceased Charles of Calabria. 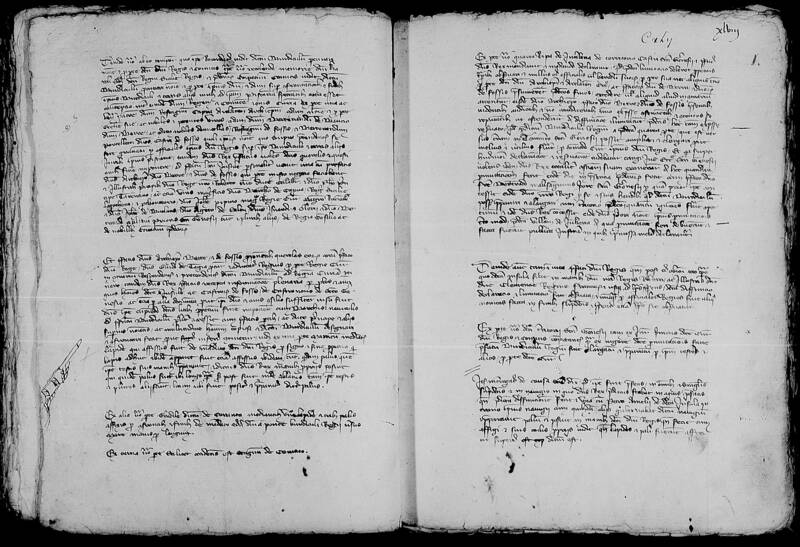 The first of these, Niccolò di Acerno, was bishop of Bisignano in Calabria. 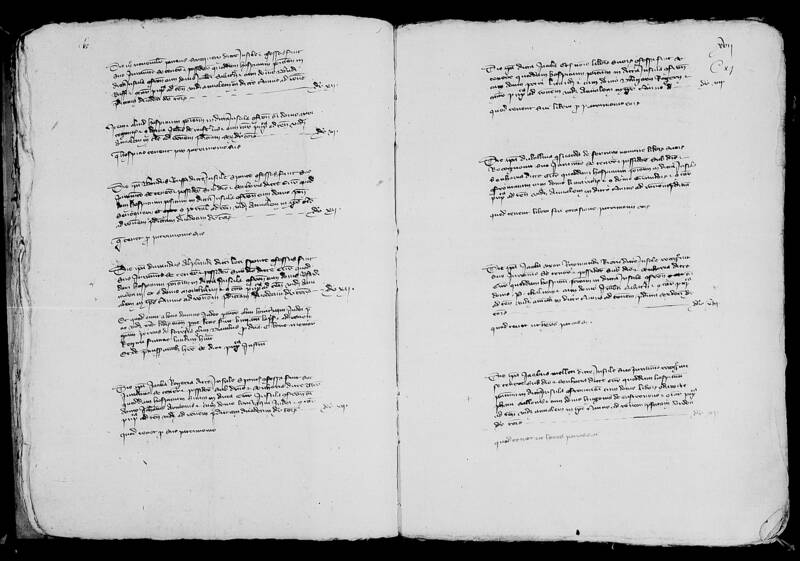 He came from a noble family connected to the Sanseverinos and the Sanginetos. 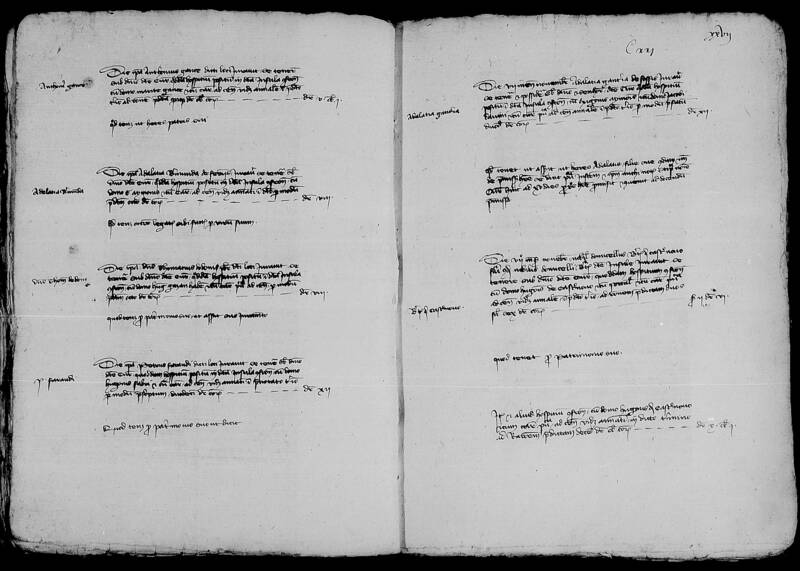 His role was limited: he accomplished his mission in autumn 1331, investigating in the viguerie of Aix-en-Provence, in a locality known as the Saint-Genies island, a part of the current town of Martigues (Bouches-du-Rhône), where the king had very lucrative fishing rights and the control of salt pans. 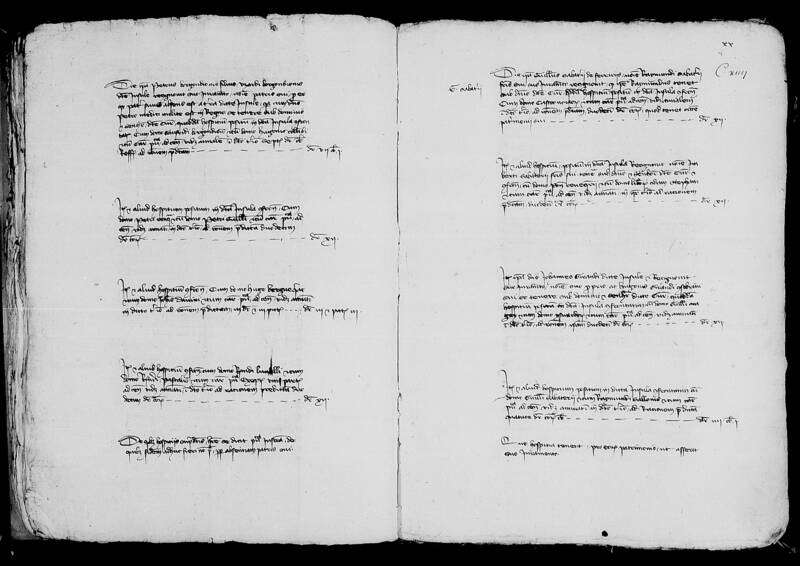 In October 1331, he was transferred by the pope John XXII to the diocese of Nola; he then disappeared from Provençal literature. 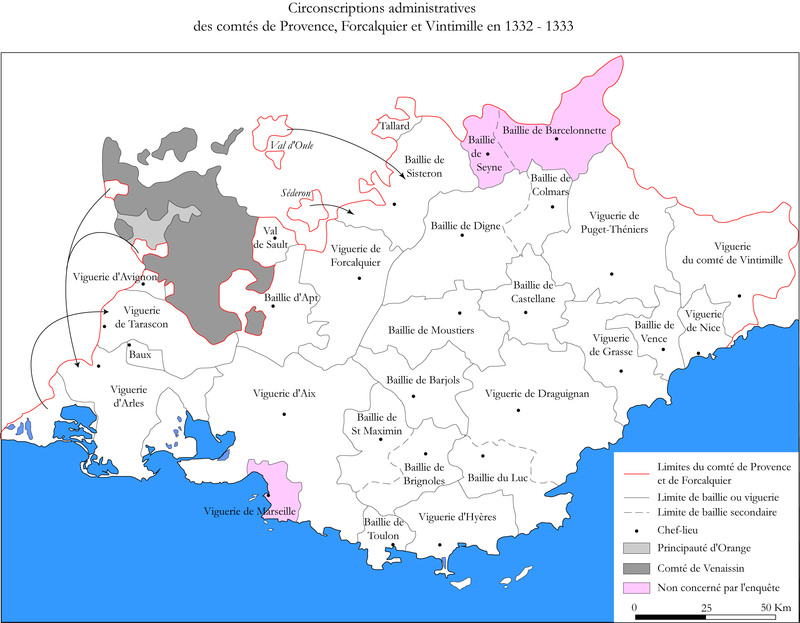 Niccolò's activity in Provence was limited to the period from October to December 1331, and maybe he took part in the first phase of the survey in Tarascon (Bouches-du-Rhône) in January 1332. 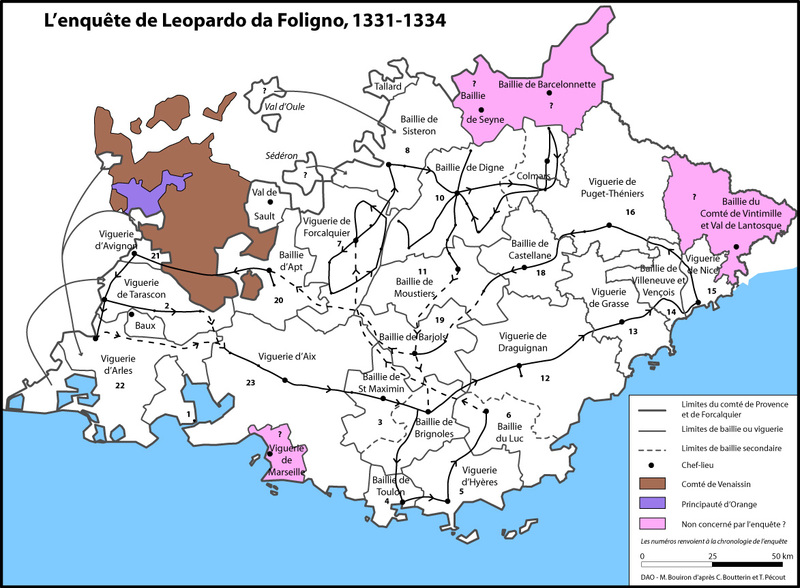 The main part of the survey was therefore carried out by the the second inquisitor: Leopardo Napoleonis da Foligno († about 1340), archpriest of Benevento, canon of Foligno, Melfi and Naples, royal counsellor and chaplain. 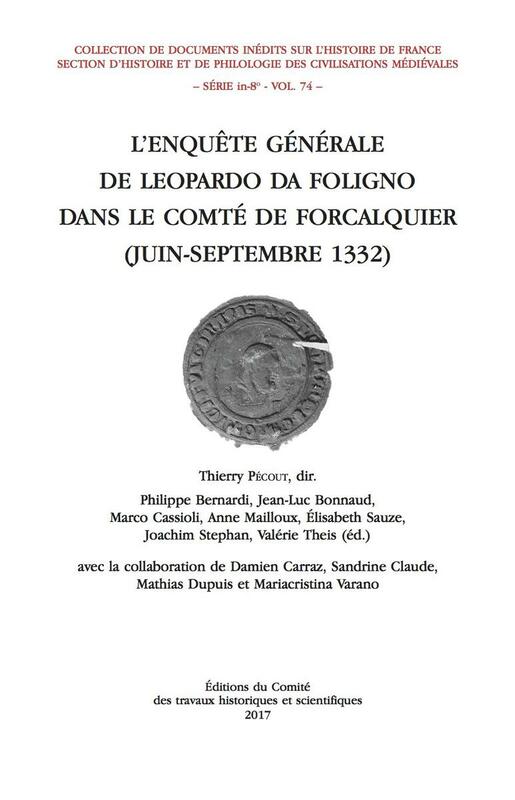 Leopardo was helped by Italian notaries and then (August 1332-March 1333) by two Provençal notaries, and accompanied by a series of relatives from Umbria; he led the general survey since January 1332 until the first half of the year 1334, traversing all Provence, and visiting almost all its administrative districts.